ItemB-04862 - Silver King Mine; miners cabins; Nelson. ItemB-04863 - R.B. Joy at the Halfway House, Silver King Mine; Nelson. ItemB-04864 - Silver King Mine tramway crew, Nelson. 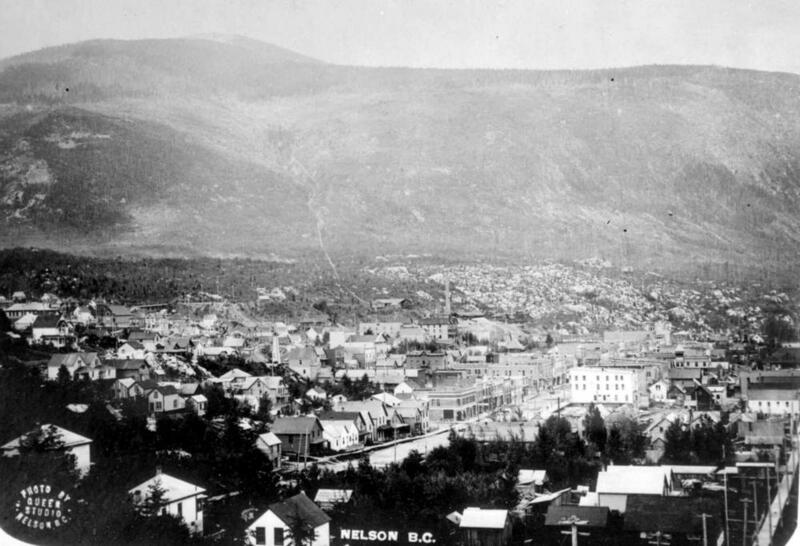 ItemB-04865 - "Nelson BC in 1899." ItemB-04866 - Boat races at Nelson on Kootenay Lake. ItemB-04876 - Produce Exhibit By G. Johnson, Nelson. Item B-04865 - "Nelson BC in 1899."